Savor ran a special through the day where they posted certain products through the day in limited amounts at a discounted price! I had forgotten about it until the last two hours, but it was so fun watching for the items to be listed and being ready to pounce! I had my eye on this soap for a long while now, as well as the pistachio rosewater cake soap. I was lucky enough to snag a bar! The tat was great, the CS was great - I'm very happy with my purchase! 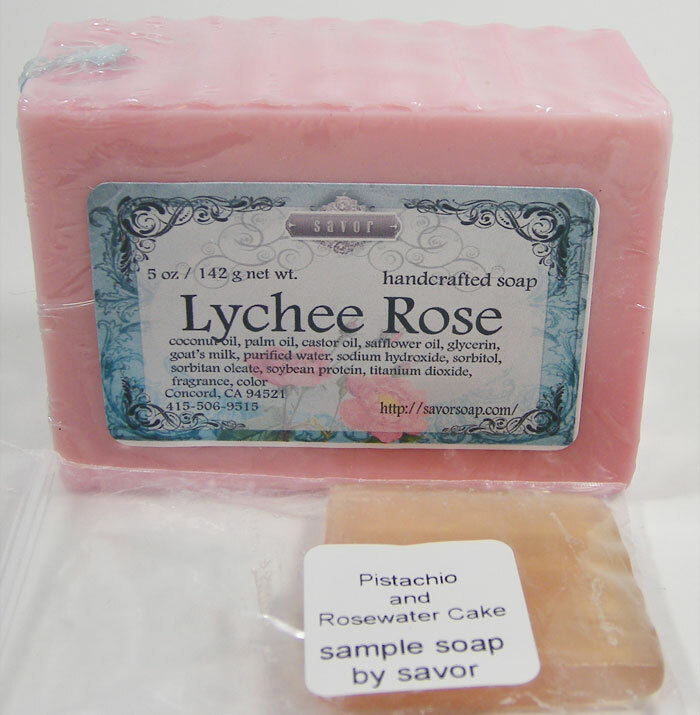 Lychee Rose Goat's Milk Soap - a fruity and floral combo of exotic lychee and romantic red roses. Almost like a raspberry or cherry in its sweet scent, the lychee note dances perfectly with the lush and fragrant rose.